At El Dorado Hills Car Care, we help our El Dorado Hills customers' cars run as cleanly and efficiently as they possibly can. We provide a range of emissions testing services to ensure that your car is running and driving its best, as well as complying with all local smog regulations.  Should a problem arise with any of your vehicle's emission systems, we provide the parts and expertise to get you back on the road. El Dorado Hills Car Care can replace mufflers/catalytic converters, refill diesel exhaust fluid, and make sure the full range of filters in your vehicle's exhaust system are working perfectly. Regulators understand that older cars simply can't meet modern emissions standards without extensive modifications. For newer cars however, passing a smog test is a requirement of road legality. Call us at 916-933-0835 to learn more about the emissions requirements for your vehicle. There are several reasons that a car may fail its emissions test. There may be a problem with the vehicle's fuel system adding too much fuel to the air-fuel ratio required for proper combustion within the cylinders of the car's engine. This is known as "running rich" and results in the smell of gasoline from fuel passing through the engine and exhaust system without being fully burnt. Causes of this issue range from faulty fuel injectors to issues with the engine's control computer. There may also be problems with oxygen sensors or the vehicle's ignition system. At El Dorado Hills Car Care, we use a complete set of diagnostic equipment to determine the problem and fix it quickly, explaining every step of the process to you, our valued patron. 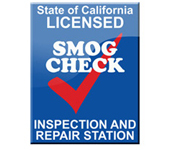 Call us at 916-933-0835 or send us an email to arrange a health check for your car's emissions system today!